Celebrating The Trailblazers & Beauty Rebels At Harvey Nichols. Harvey Nichols has unveiled its new beauty campaign to celebrate its strong heritage of championing the brands that have taken the industry by storm. From launching the likes of MAC in the UK more than 20 years ago to being the exclusive UK stockist of Rihanna’s cult Fenty Beauty in 2017, Harvey Nichols has built an enviable reputation for discovering the beauty rebels and showcasing brand firsts. Throughout March, the luxury Mailbox store will showcase a whole host of makeup and skincare must-have as part of a national Rebel Rebel campaign designed to inspire, educate and empower. Customers will get the chance to indulge their passion for all things beauty with a range of in-store events, masterclasses and pop-ups from the likes of Rodial, Hourglass, Heaven Skincare, Environ, Espa and Marc Jacobs as well as the launch of the sought-after Harvey Nichols gift with purchase and an online exclusive Discovery Set, filled with bestsellers. Fenty Beauty workshops focusing on the perfect base, at 6.45pm-7.05pm; 7.30pm-7.50pm; and 8.15pm-8.30pm. 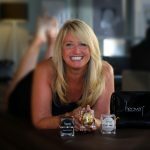 Heaven Skincare by Deborah Mitchell mini facials and complimentary products with purchases. Rodial mini facials and glow focus with the new Pink Diamond range (bookings taken on the night for a complimentary facial and gift with purchase). Elemis mini anti-ageing facials and gift with purchases. Stila ‘Love Your Selfie’ mini makeovers with a chance to win products. Hourglass ‘Proceed with Caution’ eye makeup quick-fix demos. Shavata brow consultations and treatment offers. Environ mini skin analysis and device demonstration; spend £60 and receive a complimentary facial. La Mer hand and arm massages and foundation matching; receive a complimentary facial with purchases. Learn how to achieve a false lash look at the Marc Jacobs Beauty Velvet Noir Lash Bar. NARS eyes, lips and complexion quick fixes. Receive 10% off James Bushell products. And Pixi mini facials, with a gift with any purchase. Tickets for the event cost £10 redeemable on beauty purchases made on the night. Customers will also receive a complimentary goody bag. Environ Afternoon Tea – throughout March and April: For a real pamper treat, enjoy an Environ Active Vitamin facial followed by an indulgent afternoon tea in the Harvey Nichols Brasserie. The cost is £67 per person, with £45 redeemable on Environ products (T&Cs apply, ask in store for more details). ESPA workshop – Thursday March 28, 11am-1pm: Demonstration and workshop focussing on pre- and post-natal treatments. Tickets cost £20, redeemable on ESPA products. NARS and SHOW Beauty makeovers – Thursday 28th March, 11am-4pm: Dry hair styling advice and 30-minute makeovers with a complimentary drink on arrival and a goody bag. Tickets are priced at £50, with £25 redeemable on NARS and £25 redeemable on SHOW Beauty. Marc Jacobs Beauty X Environ – from Sunday March 31-Sunday April 7: Unwind with a 30-minute facial and shoulder massage from Environ followed by a one-to-one makeup lesson with a Marc Jacobs Beauty artist. Various appointment times are available throughout the week and guests will enjoy a glass of Prosecco and receive a goody bag with travel-sized products from both brands. Priced at £70, with £35 redeemable on Marc Jacobs Beauty and £35 redeemable on Environ products. Hourglass Masterclass – Wednesday April 3, 5pm-7pm: Discover the secrets of a naturally flawless finish with a Magic of Veil masterclass. Tickets cost £10 redeemable on Hourglass products. “Harvey Nichols has always been a pioneer in launching new beauty brands and services so it seemed fitting to dedicate March, our annual beauty month, to shout about all of our amazing achievements as well as further cementing ourselves as leaders of the beauty rebellion,” explains Jo Osborne, Director of Beauty & Concessions at Harvey Nichols. 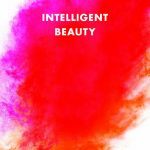 “We have championed the new and the niche in everything from colour cosmetics to fragrance, so this year we have decided to make some noise and educate on everything from wellness to signature scents, by partnering with some of our fantastic beauty brands. To book tickets for the beauty events, call the Harvey Nichols Beauty Concierge on 0121 616 6019, email [email protected] or ask in store for further details.